Exceptional racing that successfully captures the excitement of race weekend. AI wobbles remain, but this is an excellent racing game, and an authentic Formula One experience. What is it Latest in annual simulation racing franchise. I’m 39-laps into a full-length race at Spa. I'm playing on official race day, mirroring the real-life Belgian Grand Prix like a real-life maniac, and I’ve somehow managed to avoid any strategy-complicating rain. My tyres are fast going out of date, degrading with every turn, but I can’t pit for new boots because I’m doing my best to catch Vettel—teammate and career rival—who’s sat 7-seconds up the road. I cut the gap by tenths with every passing sector, but a hasty mistake into Bruxelles on the penultimate lap sends me way wide, ruining my chances of catching him again. The chequered flag is waved. I settle for a hard-fought fourth. When played like this F1 2016 is a great sim, where every position, both in qualifying and in races, feels truly earned. Last year’s feature-slim F1 2015 was a misstep that left many wondering if Codies had lost its way, but 12-months later and what a turnaround this is. F1 2016 is the most well-featured, authentic recreation of Formula One ever created, and it’s a genuinely good PC port. The core of this revamped circuit racer is career mode, which puts you back at the forefront of the experience. Not only can you choose your avatar, helmet and lucky number that’ll get emblazoned on your car, but you can choose any team from get-go. I opted for Ferrari with the aim of winning the driver’s and constructor’s championship within two seasons. It includes brand new track—Azerbaijan’s fast, technically challenging Baku City Circuit—and adds an R&D system that lets you spend points to develop the car throughout each season. Practice has been entirely revamped, too, with great new mini-games that transform a previously redundant runaround into an exciting part of the race weekend. The game immerses you in the glitzy F1 spectacle in a way no game has previously. It’s the little things that make the real difference. Manual starts add a tension to the beginning of every race. Safety cars, formation laps, detailed telemetry, increased race engineer interactions, race preamble, driver rivalries and deeper handling tweaks all create an F1 game with the authenticity of a TV broadcast. The racing itself has been refined. The slide of the car as you over-accelerate out of a turn; the gentle squeeze of the brakes so you don’t slide into a smoke-billowing, tyre-ruining lock-up; the aquaplaning as you stray away from the safety of the racing line in a monsoon downpour—every lap is a joyous exercise in taming a ludicrously overpowered beast. The game's customisable assists make for a racer that's designed to be enjoyed by everyone, even those not willing to invest 90-minutes into a full-length race with the most vital assists switched off. There are far fewer AI wobbles in this edition. I occasionally found some strategy suggestions nonsensical, and I saw 18 cars pile into one another because of one small mistake from Williams’ Felipe Massa at a race in Monte Carlo, but these were infrequent enough that I laughed at them, rather than felt they ruined my race. 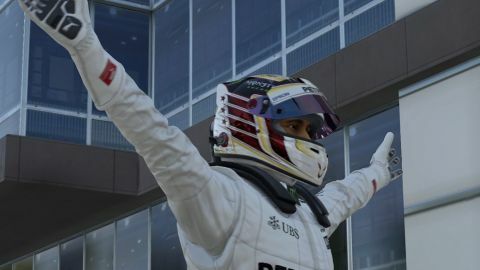 After six attempts, it’s an understatement to say that F1 2016 is a relief. This year, more than any year before it, Codies’ F1 game is more than just a graphics update with a new track. Instead, it’s a rethink of how F1 games should be made. This is the best F1 game since the Geoff Crammond heydays.